Make the book a habit in your company. We provide the book summary and the book to each team. When situations arise we work them through the seven habits. Later on they do it naturally as part of their work habits.It creates effective people, effective teams and successful people and teams. We build more than 30 companies with a total of over 1500 people this way. It is practical to ask one person on the team to be responsible and see that the habits are acquired as habits. It forms part of the natural way of learning newor expanded habits. 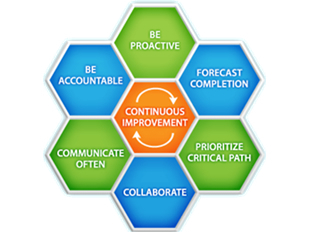 We learned the processes from Hewlett Packard in the late 1970’s and then applied it in all our companies. We summarized the useful tools we found and published it in a Company book. 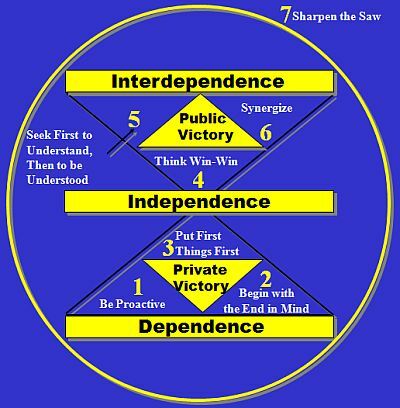 I like seven habits of highly successful people and i have read about interdepedence, independence and dependence they are good staff i think if all at the program can learn this staff we can go far i am very much happy . Keeping commitment or promise is a major deposit , breaking one is a major withdrawal. understanding the individual attending to the little things and apologizing sincerely when we make a withdrawal .U CAN USE THIS IN YOUR DAILY LIFE IT CAN HELP . 1. When we get new investors for an opportunity we will do certain investments. then people just hear we will make investments – they do not hear if and when the money comes. We go work to find the money. It is not in our direct control! 2. When we commit to promote (Sell) the product, service or program it does not always generate money from the investors. Then there is no pay or commission. We risked together, learn together and try again! It is not in our direct control. 3. We make plans and then the plans do not quite work out – was the plan a promise? Only when people hear only one side! Unre Visagie Master Career and business coach!